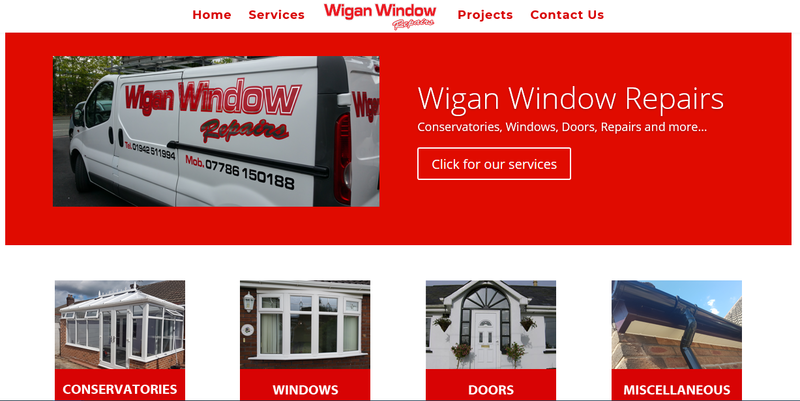 Good websites doesn’t have to cost the earth if it is planned correctly; JPSE Media Website Design and Marketing Wigan, designers of quality show sites, ecommerce websites for selling and personal websites or blogs at a price that is affordable to anyone. If you don’t have a web site and would like to weigh up the options available, JPSE Media can develop a quality website to showcase your business. We develop web sites that grow as the business grows, all our designs are tailored to your company and all are Search Engine friendly. JPSE Media have always built top websites with only the best Search Engine Optimisation (SEO), we don’t believe in building websites that cannot be found. Website costs are generally based on what you need the site to do; show sites are cheaper than more involved sites that need photos, video or sell products or services on line. Whatever you need, we will always deliver great value for money. Most web sites should be found for the name of the company, we will have search engine users finding you for the industry, sector and area you are in as a basic? Some website designers do just that, design websites, most are not Internet Marketers. We will develop your online presence and get your site in front of as many searchers as possible. See all our Marketing Services; Internet, SEO, Social Media and Online Marketing Packages here. As most people are using mobile devises (up to 80% of visits could be from smartphones or tablets), it is always a good idea to have mobile friendly website. JPSE Media do this as standard and quality check it against Google’s criteria so it can be seen on smart phone or responsive devices like tablets (iPad, Samsung galaxy Tab II etc). If you have had a so called free website in the past and been put off because it really wasn’t the best website attempt you could have hoped for, please give us a call. Our team of website designers can build you a website at a cost that may surprise you and more to the point it will look the part and work for you. JPSE Media Limited is based in Wigan Lancashire, not far from Manchester and Liverpool, but we have many clients from all over the UK. If you have a web site and want to take to the next level, or in some cases get it off the ground, then look no further than JPSE Media. You have already made that first step by finding our website, you just need to contact us so we can have you realise the full potential of marketing online. JPSE Media cannot stress the importance of having a web site, whether it is to keep up with your competitors (or more importantly to get ahead of your competitors) or just a point of information for potential customers or clients. We can make your website be your biggest selling or information tool. Don’t take our word for it, Contact us and we will put you in touch with companies that will vouch for our services. We have a special ‘Business Package’ that could save you 60% of the normal costs, click here for the details. If you need a little bit more than just a website, try our ‘Business Plus Package’ which goes that extra step by sorting stationary and even business telephone numbers, click here.